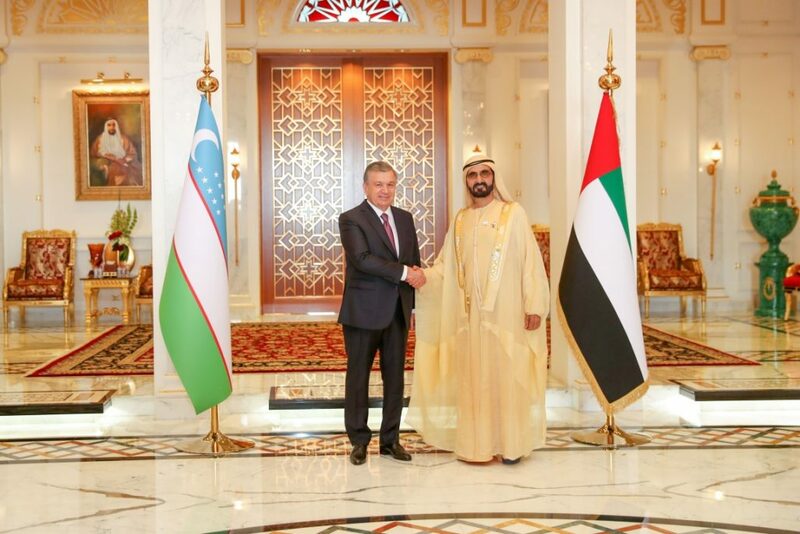 (Dubai) – His Highness Sheikh Mohammed bin Rashid Al Maktoum, Vice President, Prime Minister and Ruler of Dubai, has met with President Shavkat Mirziyoyev of Uzbekistan. During the meeting, the two sides reviewed bilateral ties between the two countries, particularly in the tourism, energy, and investment sectors. H.H. 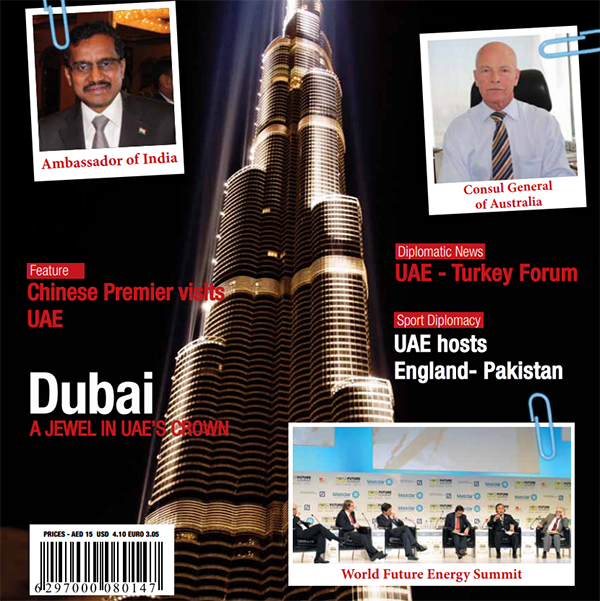 Sheikh Hamdan bin Mohammed bin Rashid Al Maktoum, Crown Prince of Dubai and Chairman of Dubai Executive Council; H.H. Sheikh Maktoum bin Mohammed bin Rashid Al Maktoum, Deputy Ruler of Dubai; H.H. Lt. General Sheikh Saif bin Zayed Al Nahyan, Deputy Prime Minister and Minister of the Interior; H.H. Sheikh Mansour bin Zayed Al Nahyan, Deputy Prime Minister and Minister of Presidential Affairs; H.H. Sheikh Ahmed bin Saeed Al Maktoum, Chairman of Dubai Civil Aviation Authority and Chairman and Chief Executive of Emirates Airline and Group; Mohammad bin Abdullah Al Gergawi, Minister of Cabinet Affairs and the Future; Dr. Anwar bin Mohammed Gargash, Minister of State for Foreign Affairs; Reem bint Ibrahim Al Hashemy, Minister of State for International Cooperation; Suhail bin Mohammed Faraj Faris Al Mazrouei, Minister of Energy and Industry; Khalifa Saeed Sulaiman, Director-General of the Dubai Protocol and Hospitality Department, and Mohammed Hareb Bursa Al Mehairbi, UAE Ambassador to Uzbekistan attended the meeting. A high-level Uzbek delegation including H. Sultanov, Advisor to the President; Elyor Ganiev, Deputy Prime Minister; Abdulaziz Kamilov, Minister of Foreign Affairs; Sardor Umurzakov, Minister of Investments and Foreign Trade; and Bakhtiar Khaderovic Ibrahimov, Ambassador of Uzbekistan to the UAE, were also present during the discussions.